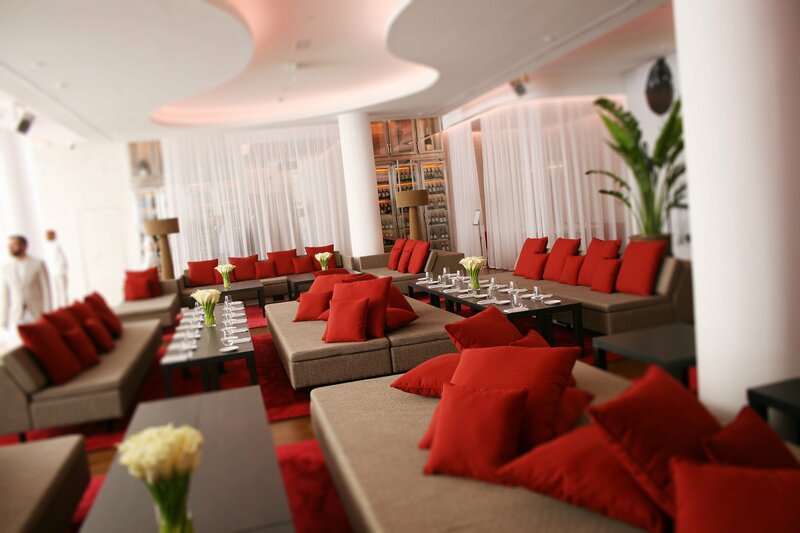 La Cantine du Faubourg is one of Dubai’s most recent gastronomy gems. It was launched over a decade ago by artists and sculptors Pierre Pirajean and Helena Paraboschi at n°105 rue du Faubourg Saint-Honoré in Paris, the lovely eatery beats to the drums of new age Parisian food, steering away from the traditional. 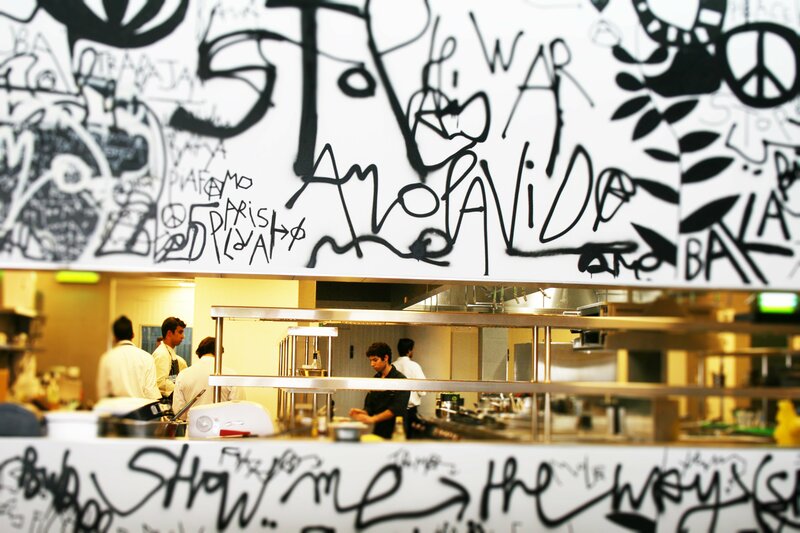 Its founders describe it as “[…] more than a restaurant, it’s an artistic rendez-vous, a lifestyle statement.” A description that also applies perfectly to Dubai, a melting-pot of cultures, tastes and styles. “There is a place for everyone at La Cantine du Faubourg” and there sure was a nice one for us when we passed by for lunch! 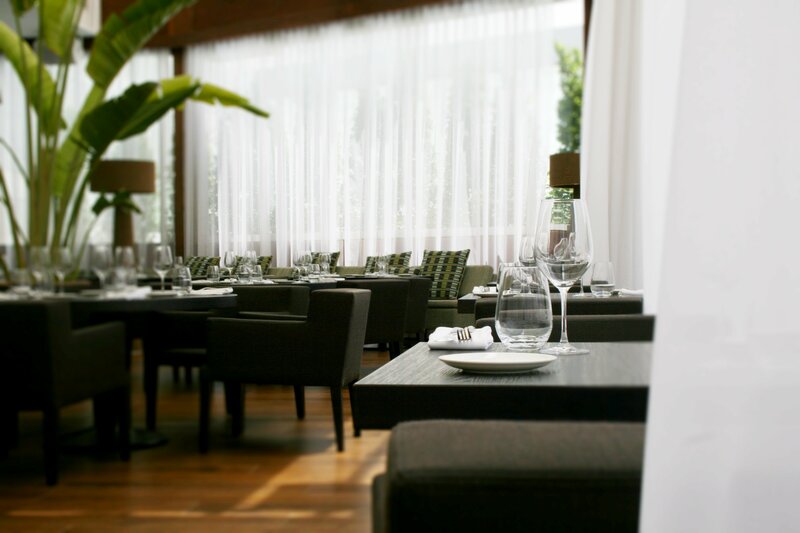 With several seating options to choose from: the private dining area at the “table d’hôtes”, the private booths, the tall bar stools or the main area by the terrace, we opted for the latter, in a very bright, well lit with natural light, comfortable atmosphere. 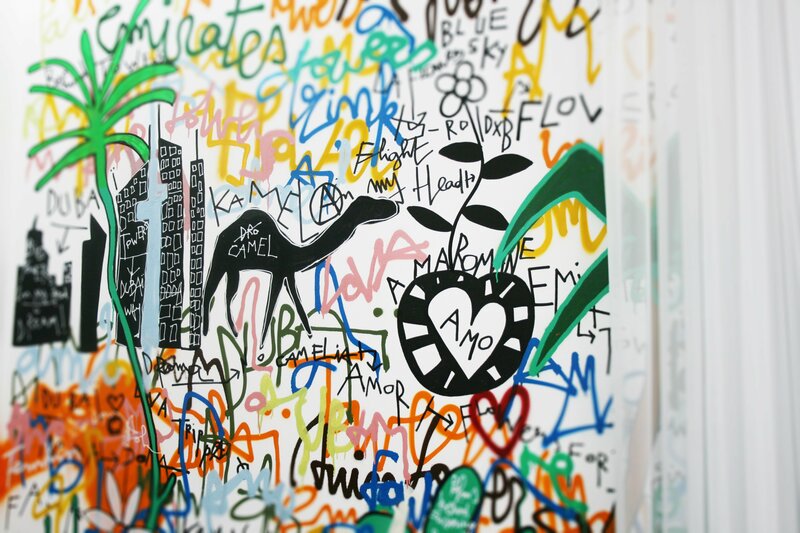 Doodles on the walls, art pieces hanging around, colourful pillows and plants give La Cantine a more friendly and accessible, less “sterile” environment than other restaurants in the same category. Once our waitress explained the menu, we made our selection and waited in anticipation while my colleague described to me the mouthwatering dishes he had previously had at La Cantine. If you’re a Pingster and follow our food reviews, you know by now that some of our staple preferences are tartare, truffle, good meat and fine wine. So needless to say, we tried the Beef Tartare au couteau -which I found be a bit heavy on the onions and oil- and the Truffle Pizza, an item you might not find on the menu but that you’ll definitely want to try! 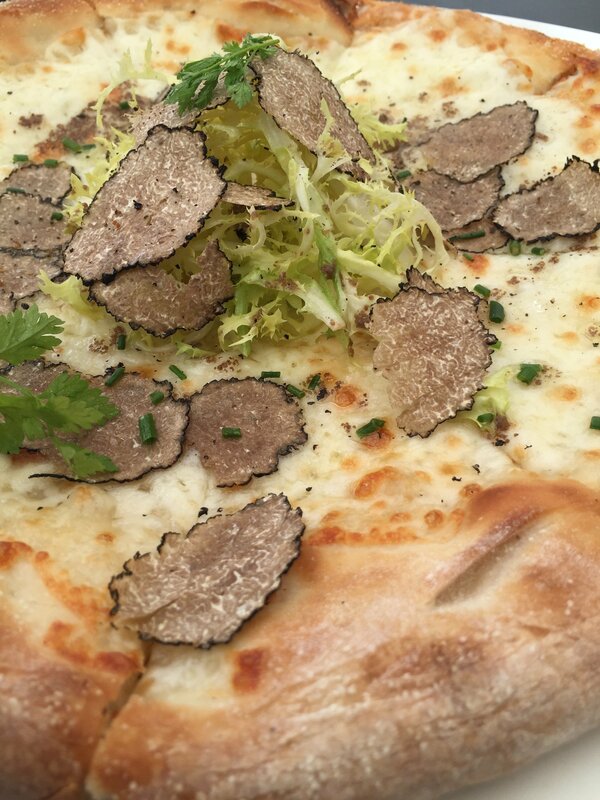 The light dough is topped with tasty cheese and perfumed with truffle shavings. 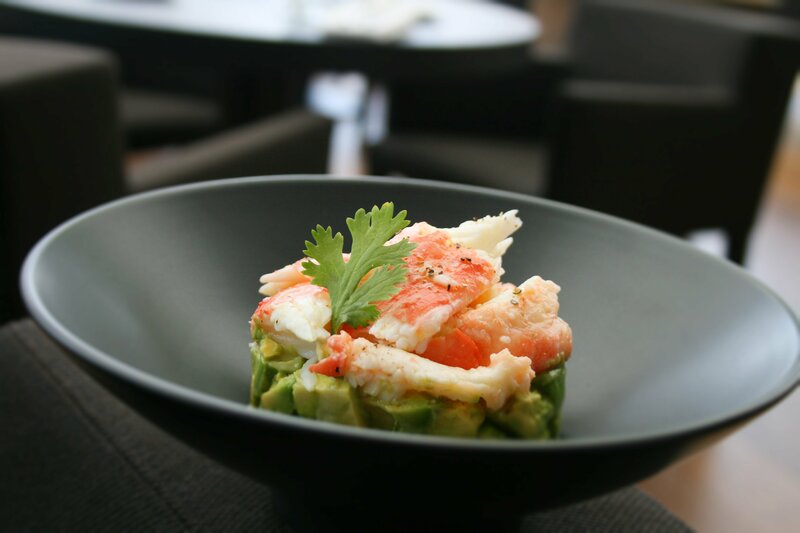 The Crab-Avocado Salad tasted fresh and was dressed with a very well balanced citrus vinaigrette. 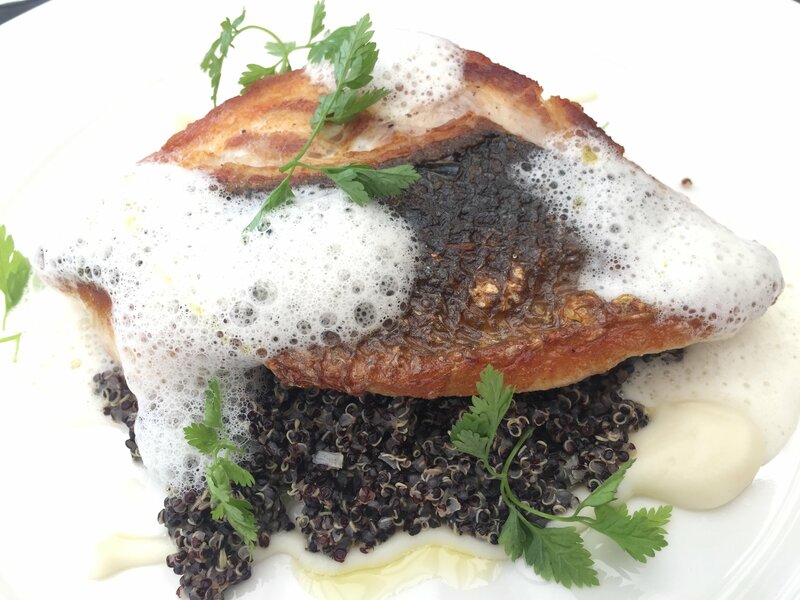 The main courses we shared were delicious; the Sea Bass & black quinoa consisted of a marvelous piece of fish with a slightly crispy skin, laying on a bed of black quinoa and covered with white foam. 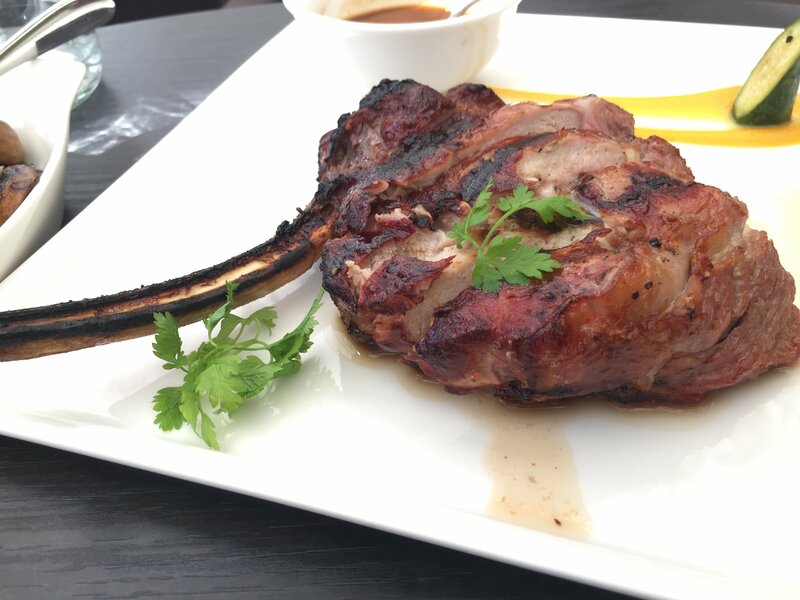 The Veal Chops were enjoyable although the meat could have been a bit juicier. But what was delectable was the Béarnaise sauce, tres bien réussie! And we’re well aware that the Bearnaise, despite not being one of the five French mother sauces, is tough to master. The sides we ordered were a great choice: superb Wild Mushrooms Du Jour and an enjoyable, creamy potato Purée. 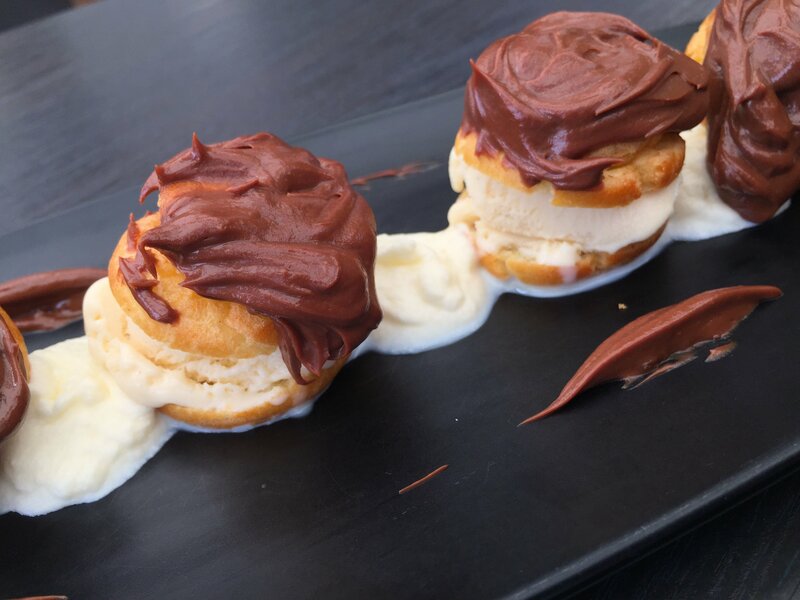 Too full for dessert, I accepted to try the Profiteroles, and glad I did! Sweet pastry puffs embracing milk ice cream and wearing a chocolate cream hat: a pure delight! Bummed for missing the Eton Mess and Chocolate Fondant, but that’s just the more reason to grab lunch or enjoy dinner again at La Cantine soon!